Years before Angelina Jolie made the startling revelation that she had undergone a preventive double mastectomy because of a genetic risk and family history of breast cancer, Bright Pink’s leaders were grappling with similar choices. Dr. Deborah Lindner, the Chicago nonprofit’s chief medical officer, learned at age 33 that she has a BRCA1 gene mutation that placed her at a high risk for getting breast and ovarian cancer—diseases that her mother and grandmother battled. She decided to have a double mastectomy. In her search for information, she met Lindsay Avner, who founded Bright Pink in 2007 after becoming the youngest woman in the United States to undergo a risk-reducing double mastectomy. Avner had the operation at 23 after learning about her BRCA1 mutation and stacking up that knowledge with a family history that included a mother who had breast and ovarian cancer as well as a grandmother and great-grandmother who both died of breast cancer. Yet although Lindner and Avner confronted the same difficult choices as the famous film actress and director eventually faced in 2013, their journeys were marked by a lack of information, a sense of isolation and, for Lindner, shock and disapproval from some medical professionals. Today, the experience of young women analyzing their cancer risk level is far different, thanks in part to Bright Pink. The organization is dedicated to raising awareness about the risks of breast and ovarian cancer among women ages 18 to 45 and their health care providers, as well as offering information about their choices. “To hear the differences in responses in that short period of time and to see how far we’ve come because of organizations like Bright Pink — it just makes what we’re doing more worthwhile and it gives me hope in humanity that we can change how we think about healthcare and disease,” said Lindner. 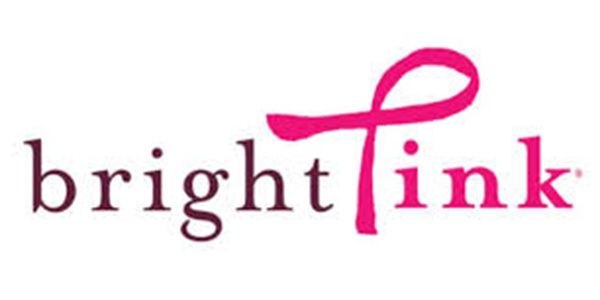 Lindner said Bright Pink has evolved from an organization initially founded as a support group for younger women facing a heightened risk of these cancers to one that provides education to two important audiences: young women in that age bracket and health care providers including OBGYNs, oncology specialists and nurse practitioners. Although the risk of breast and ovarian cancer is higher for women age 50 and older, younger women who carry a mutation like BRCA face a far higher danger of developing the diseases. While the average woman has a 12 percent lifetime risk of breast cancer that increases with age, BRCA mutation carriers have a 50 to 87 percent lifetime risk starting in their 30s. Their lifetime risk of ovarian cancer is 54 percent with the risk rising in their 40s. Bright Pink has reached more than 18 million women over the years through a variety of programs and fund-raisers. One popular offering is a 20-minute “lunch-and-learn” session called a Brighten Up workshop that Bright Pink’s highly trained educators provide at businesses, college sororities and other organizations where young women can be reached. The Bright Pink website is a wealth of information on breast and ovarian cancer risk and prevention, including lifestyle research and an online calculator that offers an individualized risk assessment. Lindner said the program for healthcare professionals, entitled the Women’s Health Provider Education Initiative, grew out of feedback Bright Pink received from their constituents — women who said their doctors did not know the answers to the questions about hereditary cancers that Bright Pink had advised them to ask. Lindner, who is board certified in Obstetrics & Gynecology and in Venous and Lymphatic Medicine, led the development of a unique two-hour program for health care professionals in which the most recent research on risk levels and preventive strategies are discussed in a combination lecture and case study format. More than 5,000 healthcare providers have participated in the initiative at 100 locations including prestigious academic medical centers and community programs. Bright Pink’s message, though, is hardly downbeat. The organization’s name, in fact, takes the color pink from the traditional symbol of struggle and loss to one of hope. For health care providers, that message is about analyzing a woman’s risk level — low, intermediate, or high — and then developing a plan for that patient. For the women themselves, it’s about empowerment — knowing your risk level and then taking steps to prevent a cancer diagnosis, whether that involves healthy lifestyle changes, chemoprevention or surgery. Lindner herself has continued to manage her own cancer risk after marrying and having two children. Just before her 40th birthday, she had her ovaries and fallopian tubes removed (risk-reducing oophorectomy) to prevent ovarian cancer. Instead of bemoaning the negative aspects of having to undergo preventive surgery, Lindner looks on the Bright Pink side. “I think about this mutation in some ways as a gift,” she said. “It’s a gift of knowledge that allows us to make decisions before we’re necessarily forced to. Most people considering mastectomy are facing cancer, and it’s pretty amazing and remarkable to be able to make that decision outside of the context of an active cancer.